Another topic of the event were updates of actual emergency situations in Yemen, South Sudan or the Rohingya-Response in Bangladesh. 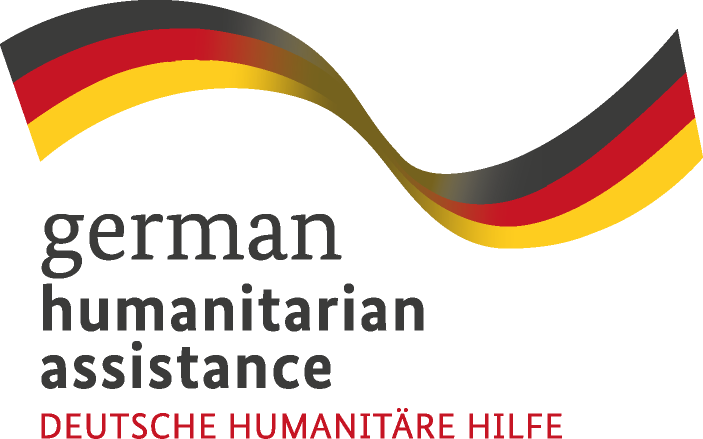 The German WASH-network would like to thank all participants, referents, supporters and especially the Federal Foreign Office (Auswärtiges Amt) for the good cooperation. We like to thank all participants, speakers, supporters and in particular the Global WASH Cluster and the Federal Foreign Office (Auswärtiges Amt) for contributing to this success. Agenda: Please follow this link for the agenda. Registration & Logistics: Please follow this link to open the eventbrite page. You would like to watch the lectures of the GWC 2018? Live streams of the lectures have been uploaded on the Facebook page of the German WASH Network. On this page you can see chosen lectures that we’ve selected for you. During the closing event of the GWC, the new Compendium of Sanitation Technologies in Emergencies was launched, a big step for an often ignored subject. 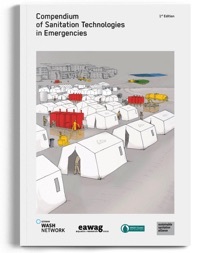 The Compendium of Sanitation Technologies in Emergencies provides a structured and user-friendly manual and planning guide for sanitation solutions in emergency settings. It supports and enables decision making by providing the necessary framework for developing a sanitation system design. It compiles a wide range of tried and tested technologies in a single document and gives concise information on key decision criteria for each technology, facilitating the combination of technologies to come up with full sanitation system solutions, all linked to relevant cross-cutting issues.The free pdf-version can be downloaded here. If you are interested to get a hardcopy version please contact info [at] washnet.de.